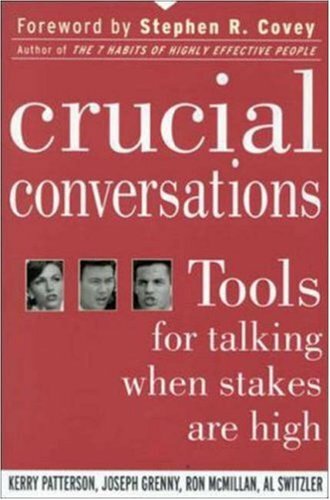 Mainly about resolving conflicts and influencing people, this useful guide covers every conceivable aspect of talking with others. People hear facts and stories and turn them into shared knowledge when they're not attacked or overpowered--in other words, when they feel safe. No mushy mental health lesson, the program does a stellar job of explaining many types of communication errors and describing the best ways to achieve mutual purpose. The authors have exceptional ideas about moving toward healthy solutions in a variety of business and personal realms. Anna Fields gives a perfect reading--emotionally bright but still allowing the lesson to retain its practical, straight-talking nature. T.W. © AudioFile 2005, Portland, Maine-- Copyright © AudioFile, Portland, Maine --This text refers to the Audio CD edition.